Dr.habil. Dr. Seronei arap Chelulei Cheison: Forget Eurobond, Blockchain's Initial Country (County) Offerings a new crowdfunding tool! Forget Eurobond, Blockchain's Initial Country (County) Offerings a new crowdfunding tool! The Kenya government has once approached the international donors to sell Kenyan debt in what was called the EUROBOND. That colossal sums of money were lost between the buyers and the Central Bank/Treasury is no secret. What we all know though, is that the Mguu Tupus of Kenya are paying the EUROBOND loard billions in money that was not 100% deployed to better their lives. Besides, EUROBOND, like any other instrument of debt financing is expensive and it will take decades to repay. Probably more money needs to be borrowed to finance that debt. It is a vicious cycle. Enter Blockchain. And Tokens. And Cryptocurrencies. Today, anybody with a smart idea, from starting a cloud storage server to setting up a food processing plant to establishing a shipping line is running to the one hot area that is revolutionising the world: Blockchain technology. You already know of Bitcoin and Ripple. That is money. I have talked about how Blockchain can help in the war against official and unofficial corruption. 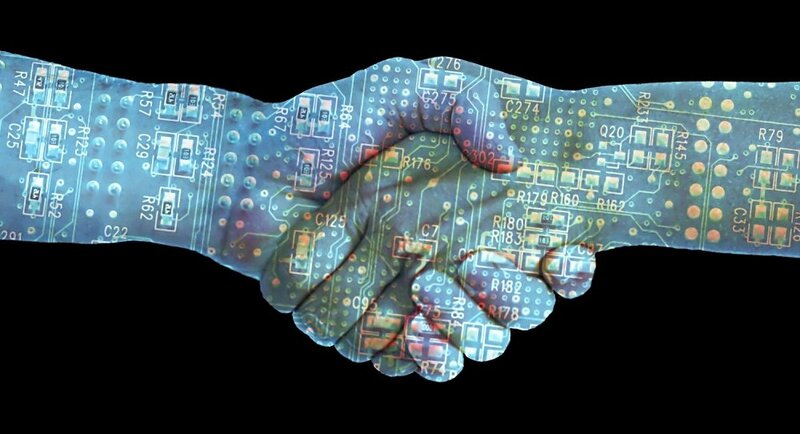 Ideally, in Blockchain technology, there is NO need for trust. Computers are negotiating contracts and signing. Smart contracting. Call it mining if you like. More computers hold copies of ledgers with entries of marriage certificates, birth certificates, land title deeds, education certificates. You forge on one server, the rest of the "unforged" servers reject it. Invalid. You can't bribe the servers! So how does it work on debt? A company is coming up which is going to manage assets. It is called Swissborg, based, yes you guessed right, out of Switzerland. A groupd of guys with impeccable credentials came together with this ambition. ICO (Initial Coin Offering). I bought in. 60,000 other netizens bought in. Different amounts. Total? 60,000,000, CHF (1CHF=US$). Just like that. Some KShs 6 billion was raised by so many of us who have not, and likely won't, meet them. But we bought their idea and invested in it in exchange for TOKENS! Strangers buying from strangers. No need for trust of the traders. It is machine trust! So I am just thinking. Do you see where I an going with this? The Blockchain is today's fundraising tool. Can't the Nation-State embrace this and deploy it to raise funds for development? Can't counties like my native Nandi County issue a Token based on Blockchain Smart Contracting to raise money for infrastructure development? Can't Kenya use this to also raise some Bonga Points on our dwindling tourism sector? It is time for "Intitial Country Coin", or better still "Intial County Coin", the ICO that countries and counties can use to finance debt and crowdfund.